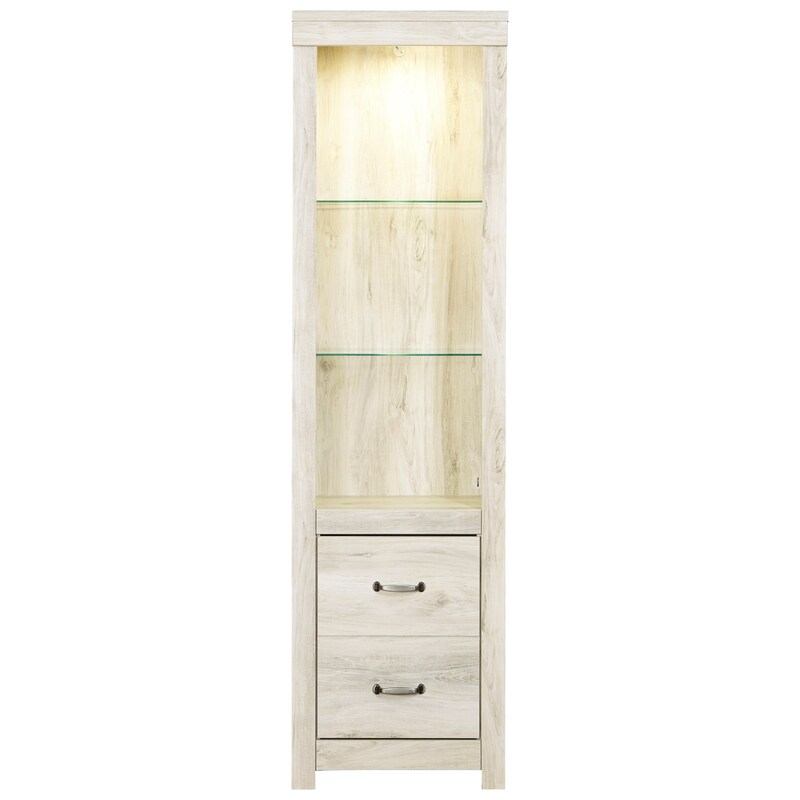 The rustic white finish over replicated oak grain of the pier creates a inviting look for your home. Two glass shelves and a built-in light make it ideal for highlighting accents. The base of the pier is a door with an adjustable shelf and fixed base shelf inside for bonus storage. This pier is perfect on its own or as part of an entertainment wall unit. The Bellaby Pier with Glass Shelves & Built-In Light in Rustic White Finish by Signature Design by Ashley at Household Furniture in the El Paso & Horizon City, TX area. Product availability may vary. Contact us for the most current availability on this product.